It’s no secret that M. Night Shyamalan’s career has gone a little off the rails. After three successful outings to begin his directing career, Shyamalan went on to direct such masterpieces as The Happening, The Last Airbender, and After Earth. But there is no denying that the talent was there at the start. The Visit shows signs of life and a possible return to form for the director, trading the high budgets in for a smaller horror film might just have been what he needed. 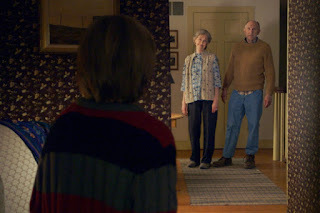 The Visit is about two children, Becca (Olivia DeJonge) and Tyler (Ed Oxenbould), and their visit to their grandparent’s house. They’ve never met these old folks before, as their mother (Kathryn Hahn) doesn’t get along with them too well. But nevertheless they make the journey to a little town to spend a week with their long lost Nana (Deanna Dunagan) and Pop Pop (Peter McRobbie). Once there, Tyler and Becca begin to see how strange these old people really are, stranger than your typical old people quirks. The horror aspect of The Visit isn’t terrifying but certainly covers the creepiness really well. There are no moments where it’s truly horrifying, but just unsettling to see these events happening to these two kids. Shyamalan has gone back to the genre he knows well and it’s clearly worked for him. The Visit won’t be receiving any attention for it’s acting, but that’s not to say the performances are bad, just not spectacular. The kids are okay and the son, Tyler, brings a lot of comedic elements to the creepy moments. 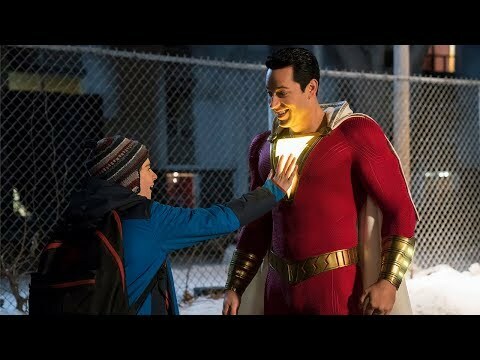 Both grandparents are actually really good in the film. Dunagan and McRobbie bring the creepiness to another level with their behavior. It never feels fake or like they’re acting but that they really are just this strange, slightly crazy older couple. Honestly I’ve never been a huge fan of found footage style for horror movies. A lot of the time it feels cheap and extremely illogical as to why the person with the camera is filming everything. This is not the case with this film. The daughter, Becca, wants to make a documentary about their first visit to their grandparent’s house and secretly get forgiveness for her mother. This establishes why Becca constantly has the camera running and has well framed shots throughout the entire runtime. Found footage is used to throw you off the scent of what’s really going on and the reasoning behind it is a sound reason. Finally, I have to acknowledge what has become an M. Night Shyamalan staple: the twist. I won’t be giving anything away regarding the revelation that occurs near the third act, but for the keen observer you’ll have already figured it out by the time it’s revealed. Yes it’s not a very shocking twist but it’s still effective in it’s execution. So what did you think of The Visit? Have you seen it, are you even interested in seeing it, or does it remind you too much of those creepy relatives no one wants to mention? Comment below and as always come back here for weekly reviews.